A short collections of essays on positivism, rationality and, above all, the vision of scientific knowledge as the result of a contractarian process. 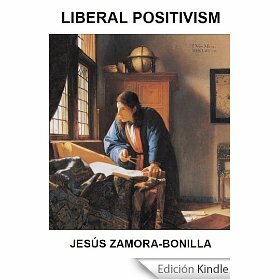 1: Positivism is a humanism. 2: Evolution, empiricism, and purposeness. A philosophy-of-science criticism of intelligent design. 3. The economics of a positivist methodology. 4. Why social sciences are natural, and why they can’t. 5. Towards a constitutional economics of science. 6. What would you say in an ideal speech situation? A note on science as a communication process.